Pepe is back Isco joins Navas, Ronaldo, Benz and Coentrao on the injury list. Goalkeepers: Casilla, Ruben Yanez and Craninx. Defenses: Carvajal, Pepe, Ramos, Varane, Marcelo and Danilo. Midfielders: Kroos, James, Casemiro, Kovacic, Modric and Asensio. 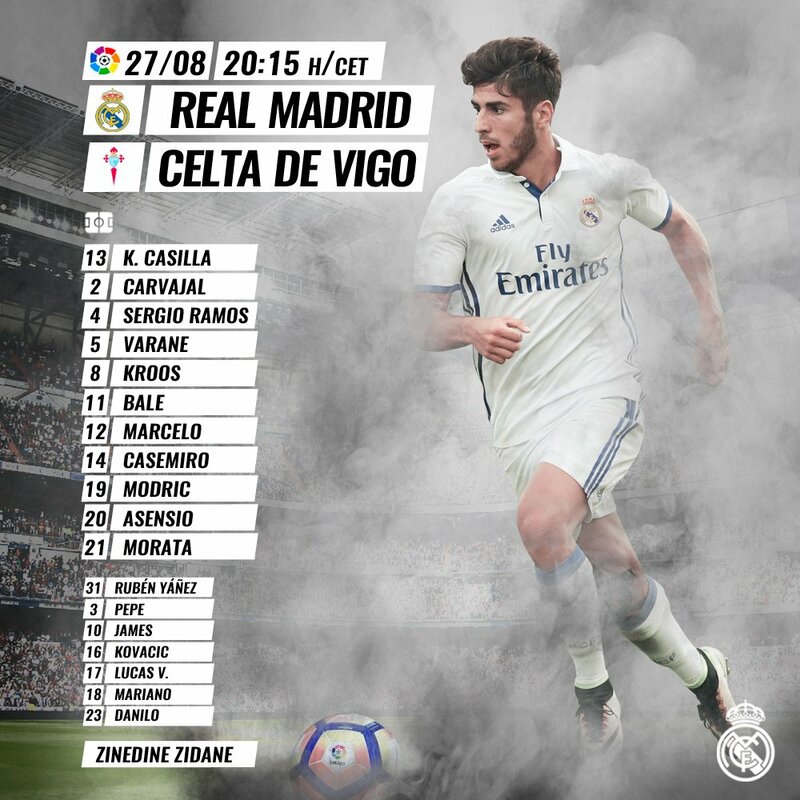 Forwards: Bale, Lucas Vázquez, Mariano and Morata. Danilo taking up Nacho's spot on the bench smh. How did Isco get injured? Not like it would have mattered but still, kinda odd. He was going to be named for Spanish NT until he got this injury, so it is not a convenient injury. Only talk around club is whether or not James will leave in next 4 days! Is Celta forcing us too hoof it to the wings or is that just our go to game plan for today? EDIT: Now he's doing better. Seems like 2014-2015 Bale is back. Was gonna post the same thing. This game would have been perfect for Isco a 4-4-2 with Bale + Morata. We have no real control in the middle. He was mostly the same at Juve. Only time he looked different was CL. That's why he was mostly a bench player and Mandzukic started. Any chance we'll see James come on? Surely he'll be able to create something for us.